As Your Dentist In Charlotte, We focus on providing preventative care and performing a variety of dental procedures to keep you and your family in excellent oral health. By providing comprehensive care, we can ensure your teeth remain as healthy as possible and that if anything does develop, the condition can be treated quickly so you can return to good health. Whether you are concerned about your bad breath, have a toothache, or want to improve the appearance of your smile, we can help. At Dr. William Linger, DDS, MAGD, our staff is warm and friendly, and will take the time to understand your oral health concerns and provide you with the information and services you need to maintain lifelong oral health. 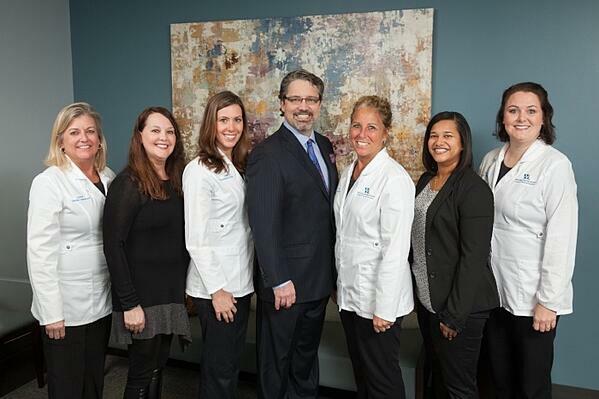 Dentistry in Charlotte is at its finest with William Linger DDS, MAGD and team. At our Charlotte dental office, we recommend you have your teeth cleaned at least twice per year. This way, we can remove the plaque that has built up on or in between your teeth. Regardless of how well you brush your teeth, it is difficult to clean hard-to-reach spaces, leading to a buildup of plaque and tartar. Since plaque can increase your risk of getting cavities, removing it can help you to be in better health. These appointments can be completed quickly, and we can work within your schedule. Dr. Linger performs minimally invasive restoration of teeth using the Dental Operating microscope for all procedures, including fillings. Using the latest advances in dental composites and bonding, Dr. Linger uses injection molding to restore teeth needing fillings. A dental crown is a type of restoration which completely caps or encircles a tooth or dental implant. Dr. Linger uses crowns when a large cavity threatens the ongoing health of a tooth. Dental crowns are typically bonded to the tooth using a dental cement. Crowns can be made from many materials and are often used to improve the strength or appearance of teeth. The most common method of crowning a tooth still involves using a dental impression, or mold, prepared by Dr. Linger to fabricate the crown outside of the mouth. Regularly climbing into our hygiene chair can mean gaining better health, better looks, and even staying out of the dental chair! When you consider that oral disease can be silent and symptom-free and that research has linked oral disease with other health problems, making regular hygiene appointments is definitely your wisest choice. Periodontal Disease, a.k.a Gum disease can be diagnosed and treated at the earliest stages when you are seen regularly by a skilled Hygienist. Have you heard any of these myths about cavities? While some of these are partially based on fact, some simply aren’t true. The research shows that cavities are caused by a bacterial infection known as Caries. This infection occurs when the risk factors for disease outweigh the protective factors for health. By understanding what causes an imbalance of the oral environment and making adjustments, the disease can be controlled and your incidence of cavities can either be reduced or eliminated. Our dental services include looking for signs of oral cancer while cleaning and examining your teeth. At Dr. William Linger, DDS, MAGD, we understand the important role we play in detecting signs of the disease. It is difficult, if not impossible, to see the inside of your mouth, which makes it hard to see signs of oral cancer until the disease has spread. While cleaning your teeth, we can look for hard lumps, bumps, red and white spots, and rough patches – all traditional signs of oral cancer. If we see these signs, we can refer you to an oncologist for further testing. If your amalgam (silver) fillings need to be removed, we have the technology to remove them using the microscope with minimal mercury exposure to you or trauma to your teeth. While the majority of American Dentists (over 80%) still use mercury-containing amalgam fillings; we do not use any of these mercury-containing materials in our office. We offer several cosmetic and functional options for your teeth, but none of them contain mercury. One of our most-requested dental services is the removal of older, ugly mercury amalgam fillings and replacing them with a tooth-colored composite filling. The procedure is easy… . We remove the mercury filling, clean the tooth, and then put in the tooth-colored filling. The end result looks great! Kid’s Day – A very special day for young children’s first dental visit. This is a fun way for your child to have a great time during their first dental cleaning. If you or your children have deep ridges on the chewing surfaces of your teeth, you should consider dental sealant. Patients throughout the United States use this procedure as a way to reduce their risk of developing cavities. This is an easy way to protect your teeth, because we can apply sealant in a matter of minutes. It works by acting like a protective barrier so food particles and plaque cannot become trapped, thereby reducing your risk of developing cavities. “William Linger is an amazing dentist excellent with children very patient and attentive. I took my daughter in today she is the type that get scared and nervous but dr linger made the whole procedure go smooth she didn’t cry didn’t complain at all. ’m very pleased and satisfied with his work. I recommend him to you. – Nina K. from Yelp"